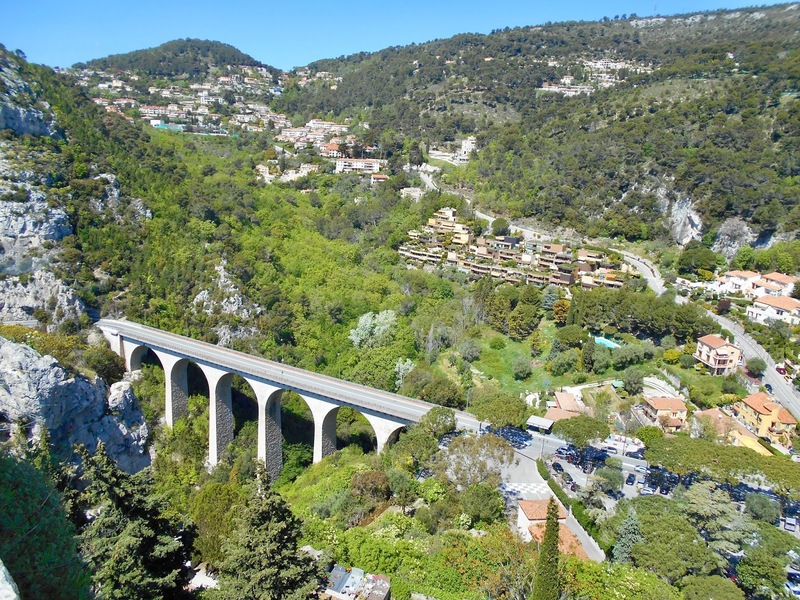 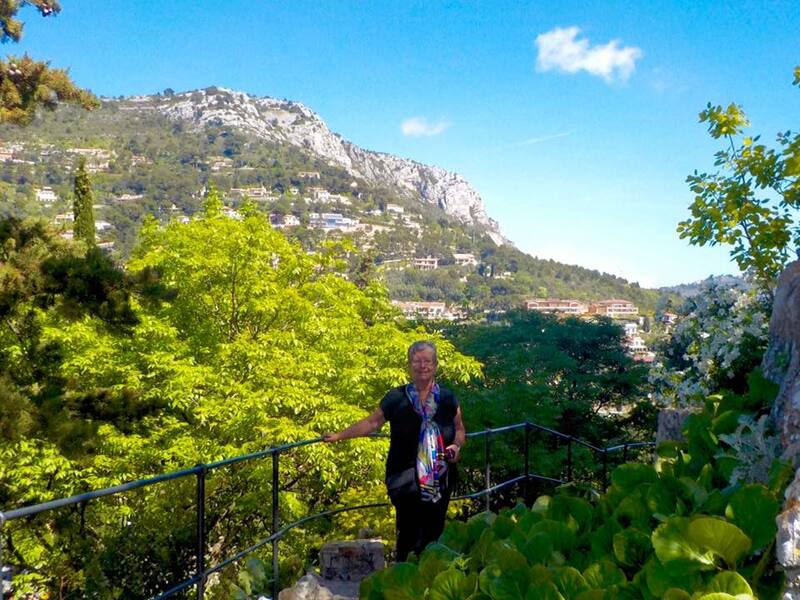 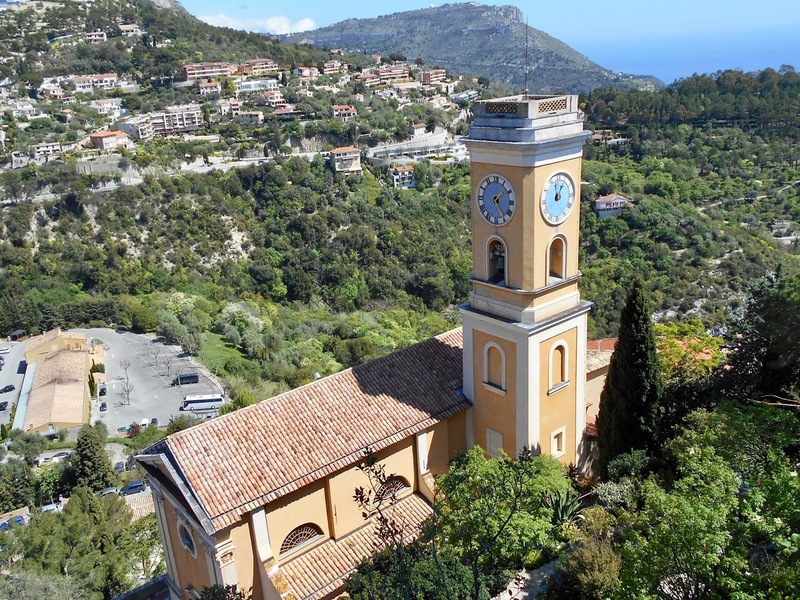 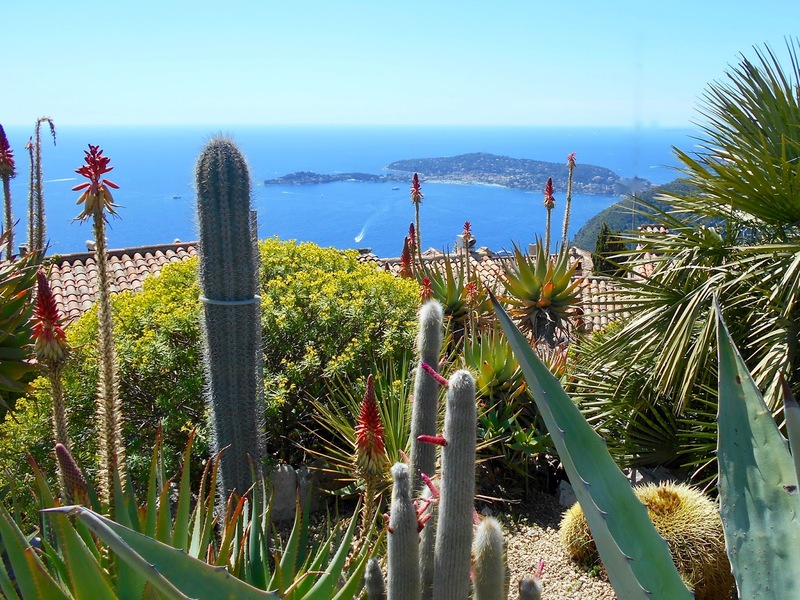 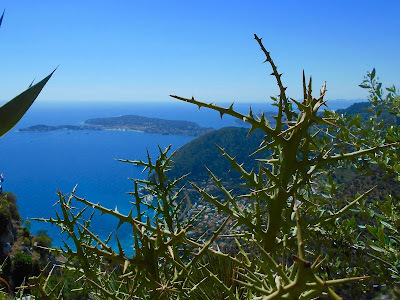 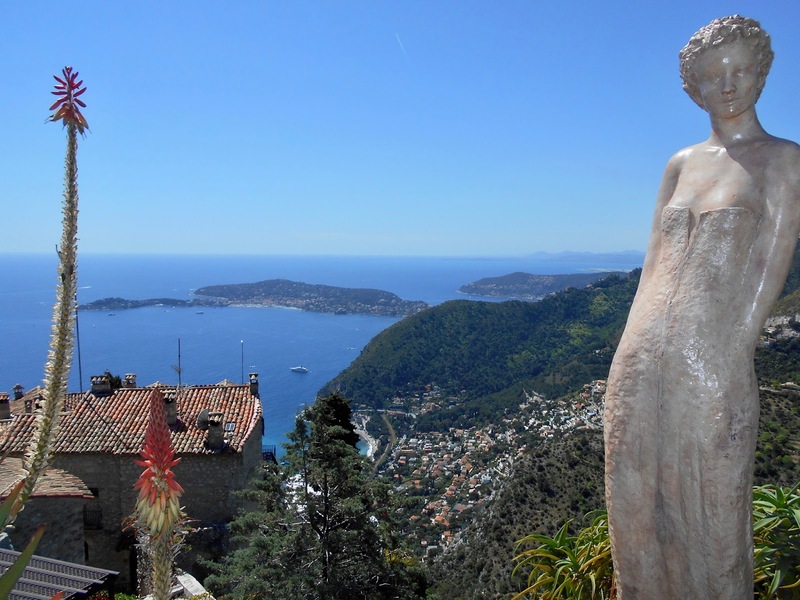 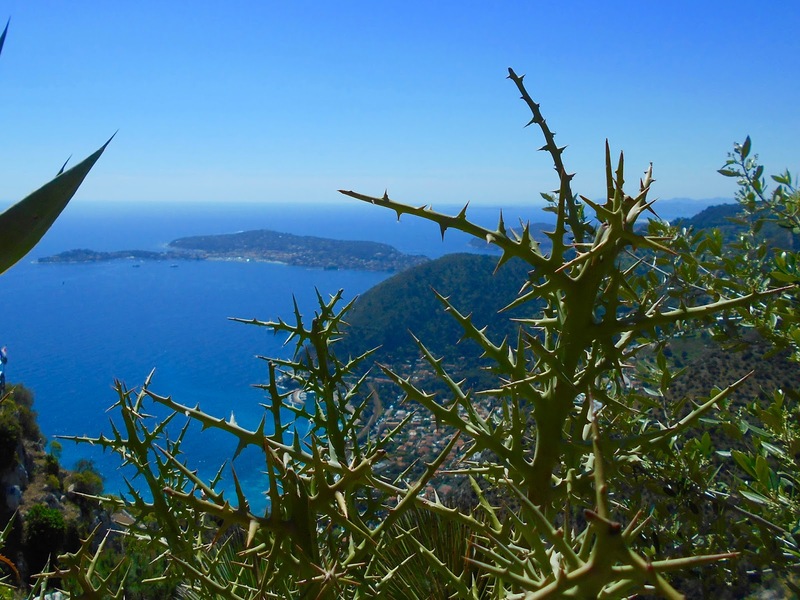 At 429 metres (1407 feet) above sea level the views of the Mediterranean Sea and St. Jean Cap-Ferrat to the south and the mountains to the north are breathtaking. Visiting the garden (like the town proper) is a physical workout in itself as wandering about requires one to go either up or down via sidewalks or a series of steep steps. 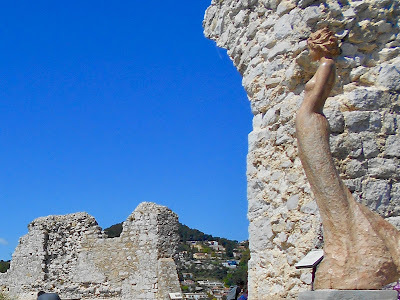 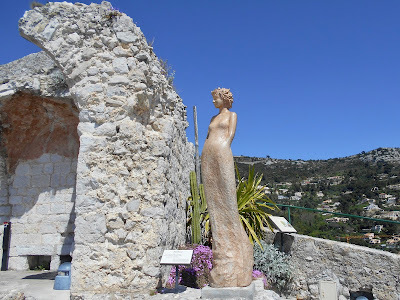 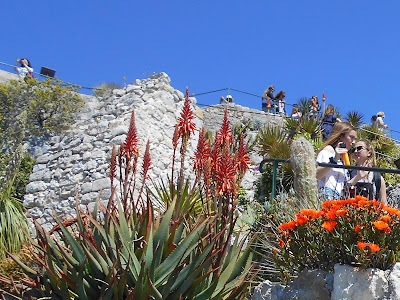 The rocky hilltop has been home to humans since the end of the Iron Age while the fortress was constructed in the second half of the twelfth century by the Lords of Eze. Look carefully at the next four photos. They help provide a true grasp of the scale of the garden. 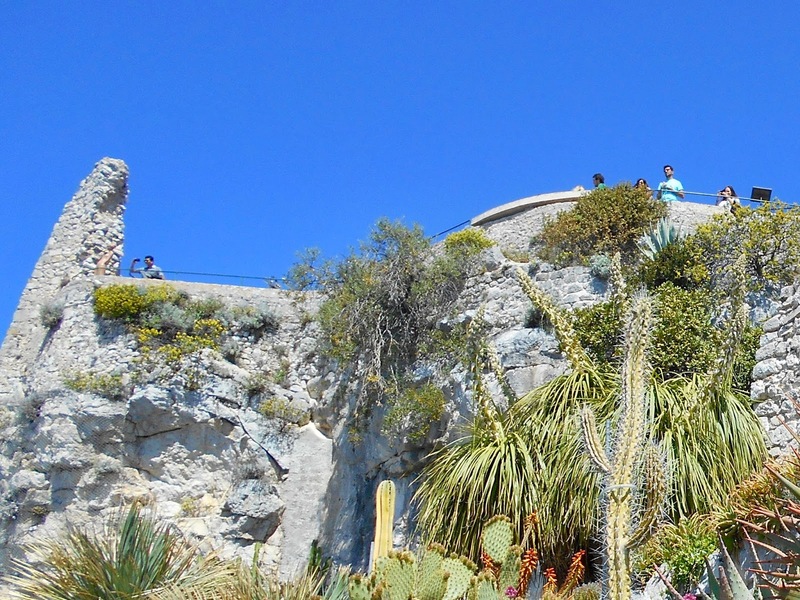 Scattered here and there are people peering down from what remains of the old fortress walls. 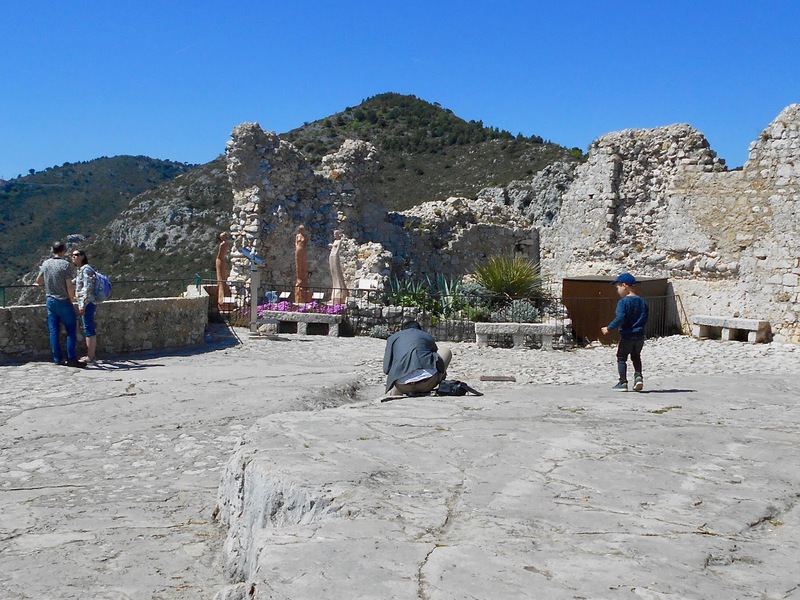 The little boy below could not hide his curiosity as the young man next to him prepares a drone. 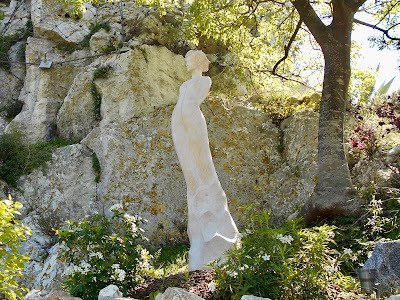 (Me? 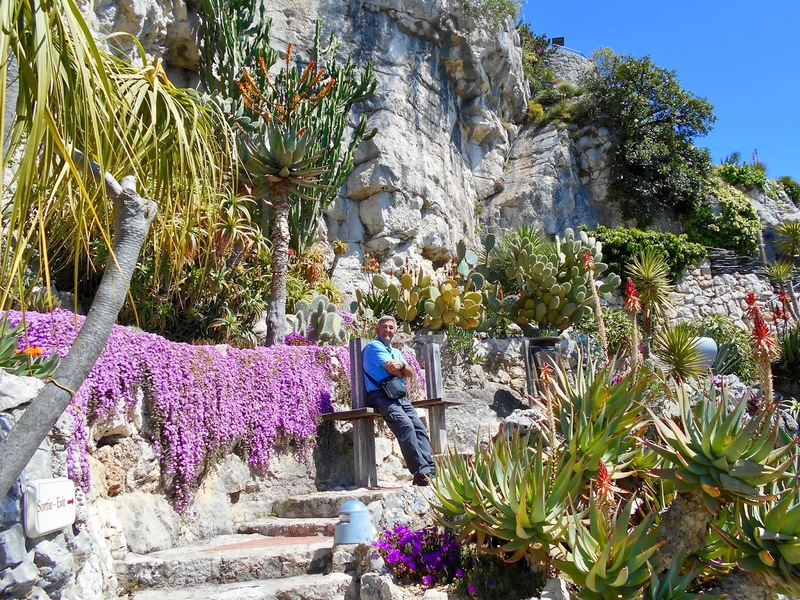 I sat on a bench and discreetly watched from a polite distance!) 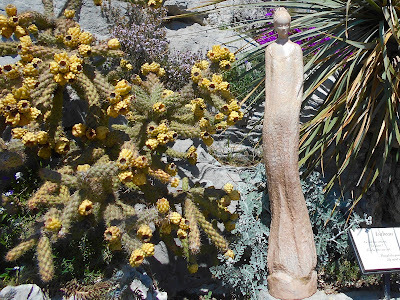 Once the drone was airborne it whisked high above our heads and no doubt captured some fantastic images of the garden. Both John and I commented on what a fun toy/gadget it would be...but neither of us were willing to lug it about from place to place so that ended that idea! 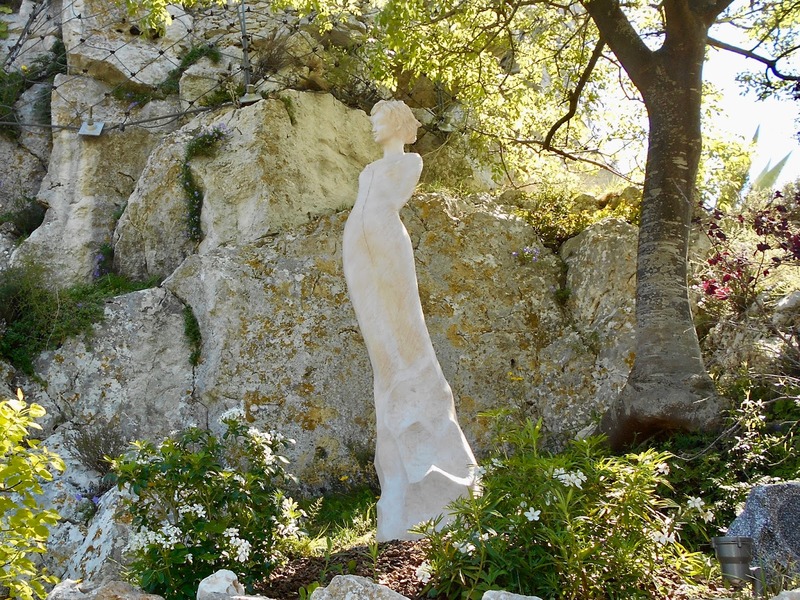 At various spots within the garden are these lovely sculptures. 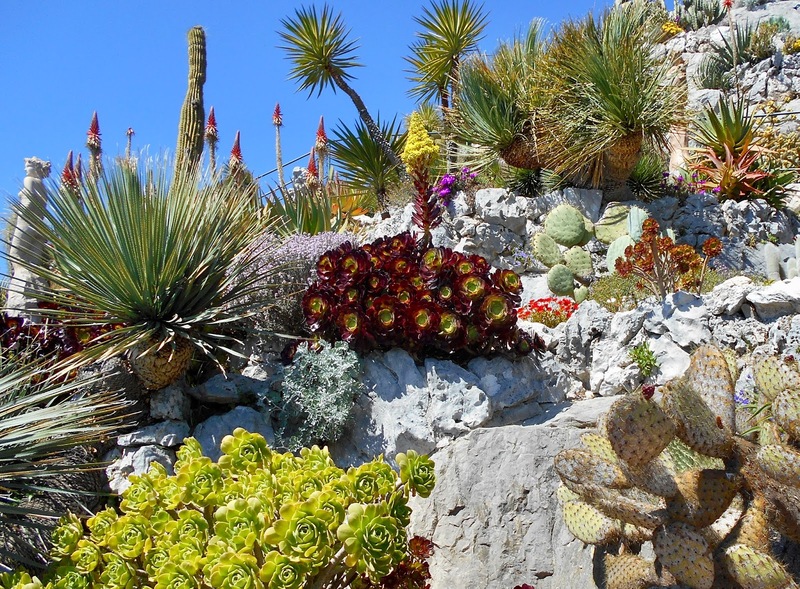 They range in size, shape and design yet feel very much a part of the landscape. 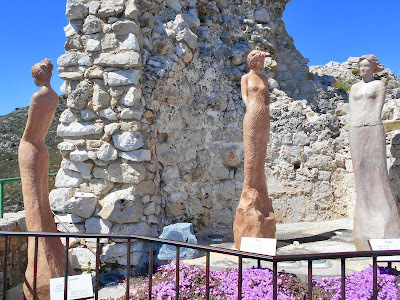 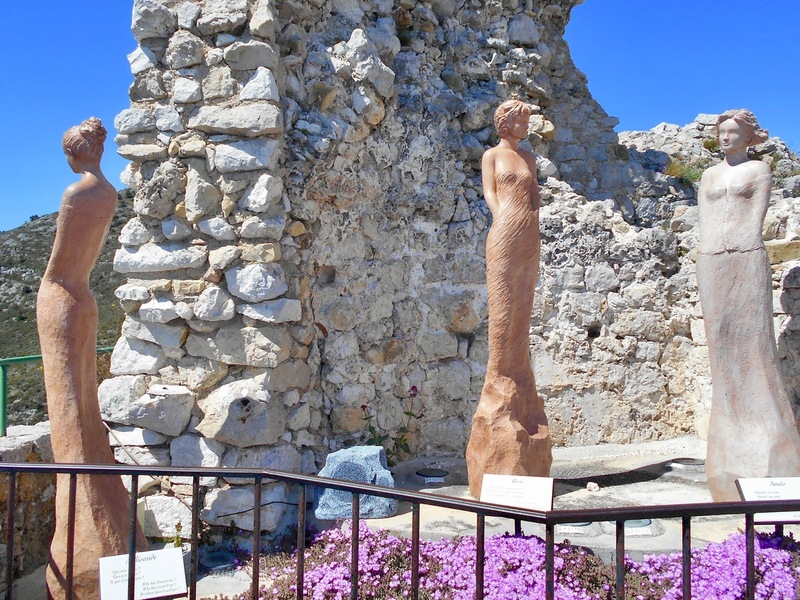 This trio of life-size sculptures at the top of the old fortress are my favourite. The gardens offer views of all four points of the compass from varying levels. 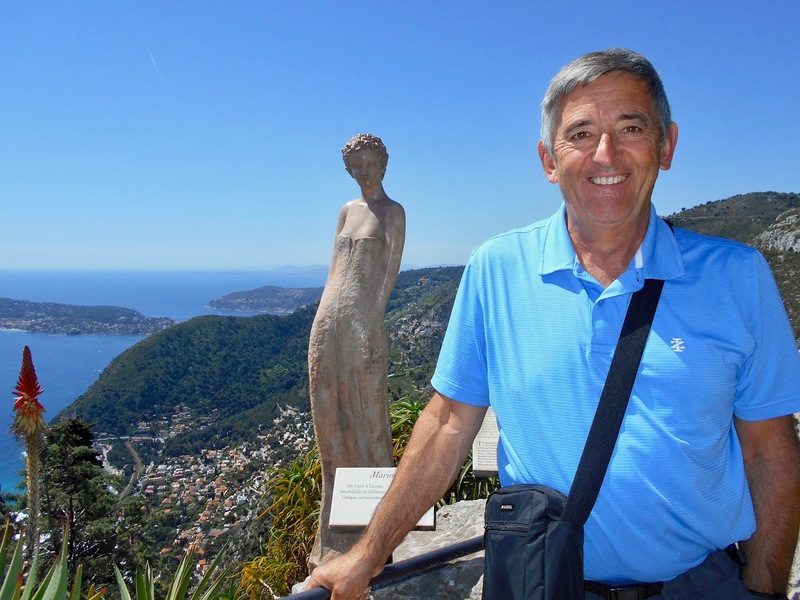 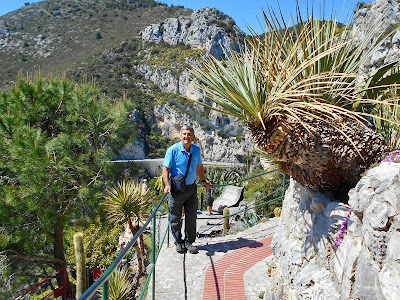 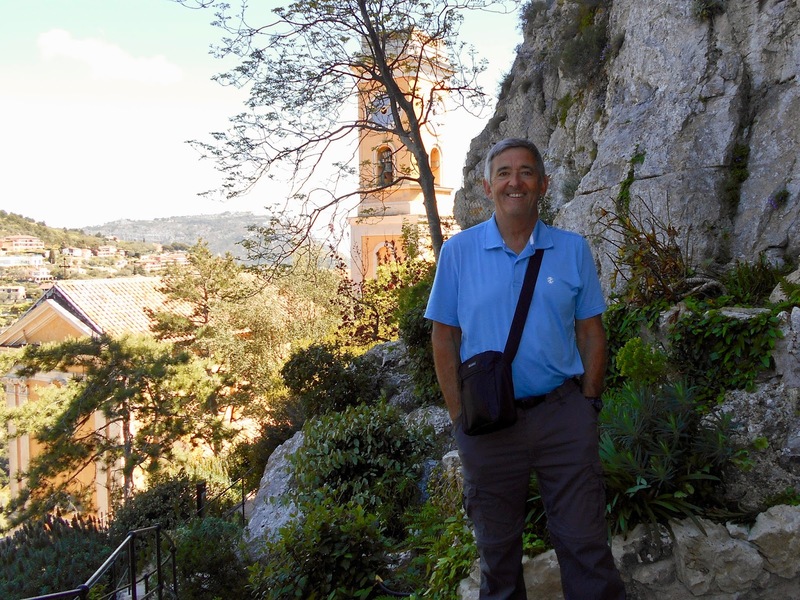 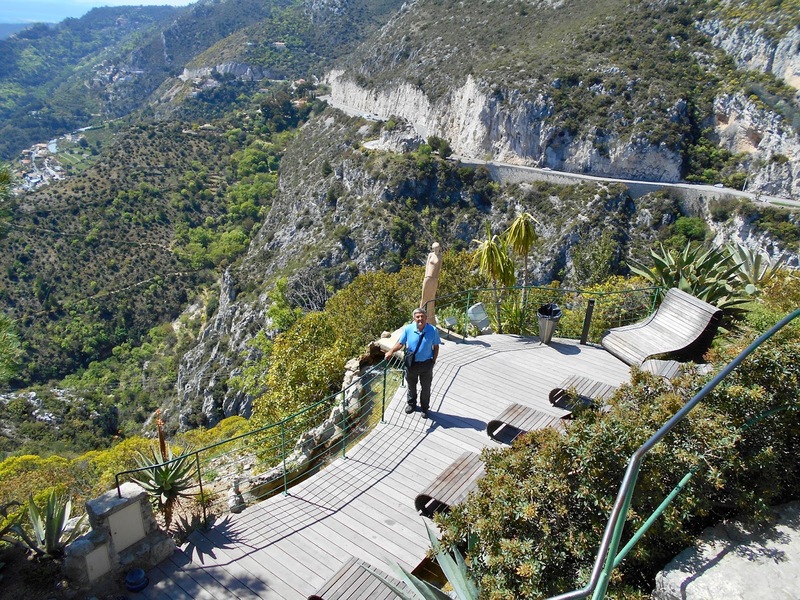 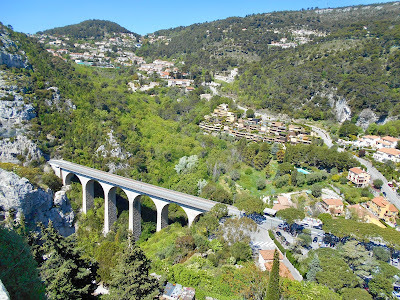 In both the photo above and below the road that connects Eze with Nice to the west and Monaco to the east is directly behind John. This bridge makes for an easier and shorter crossing of the river valley. 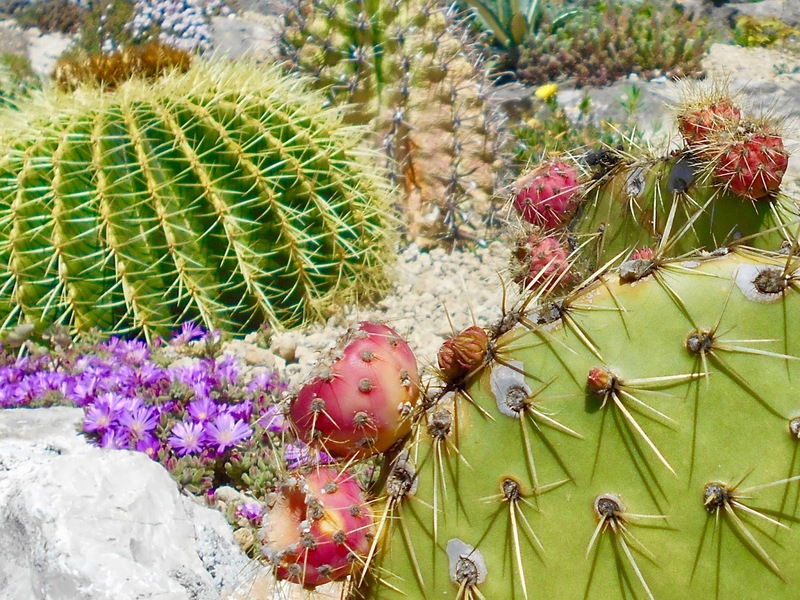 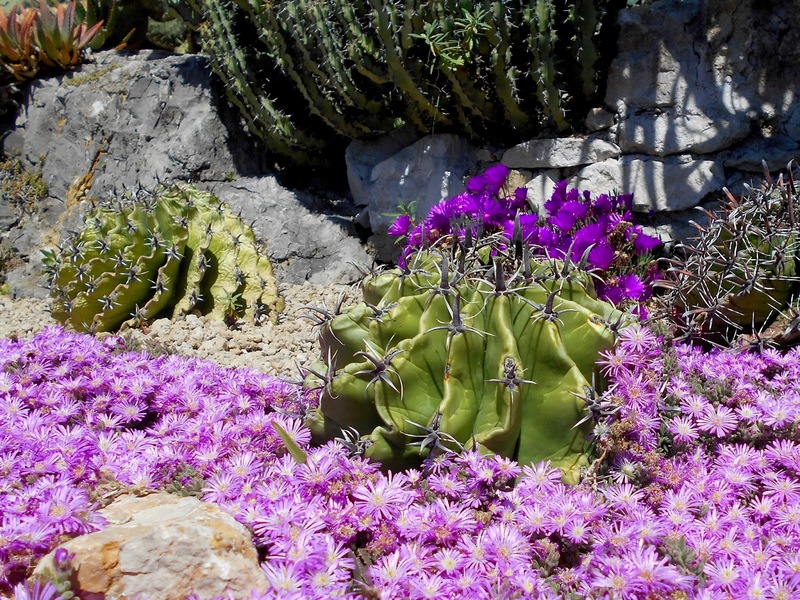 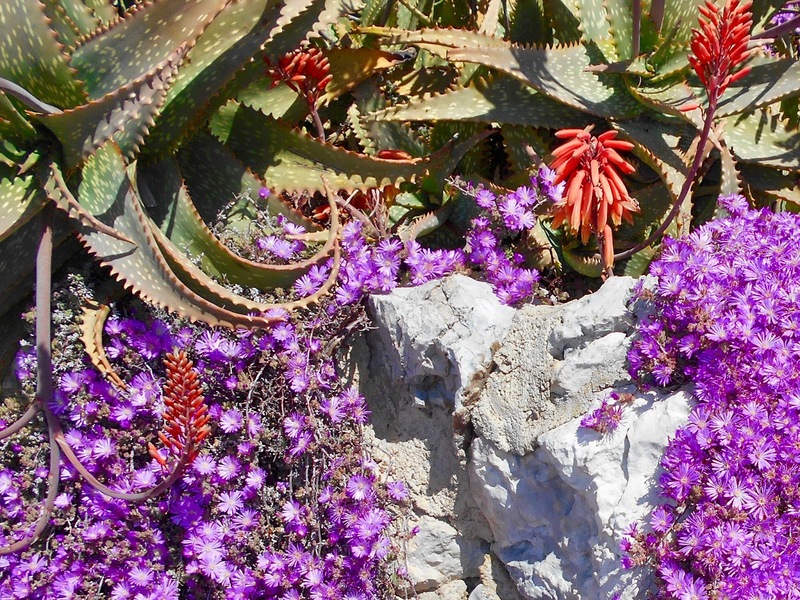 While the 360° views are stunning, the variety of flowers and plants in the garden are intoxicating. 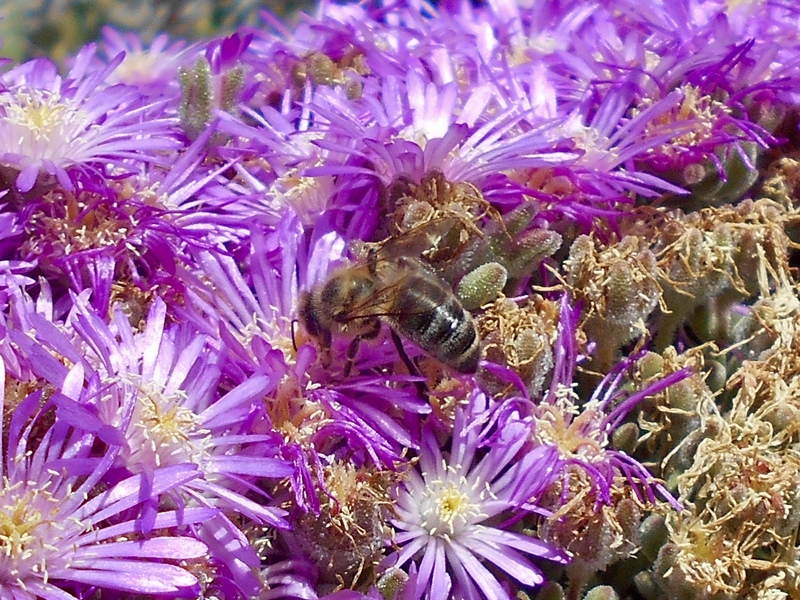 Also worth noting is the number of bees. They were simply a-buzzing! 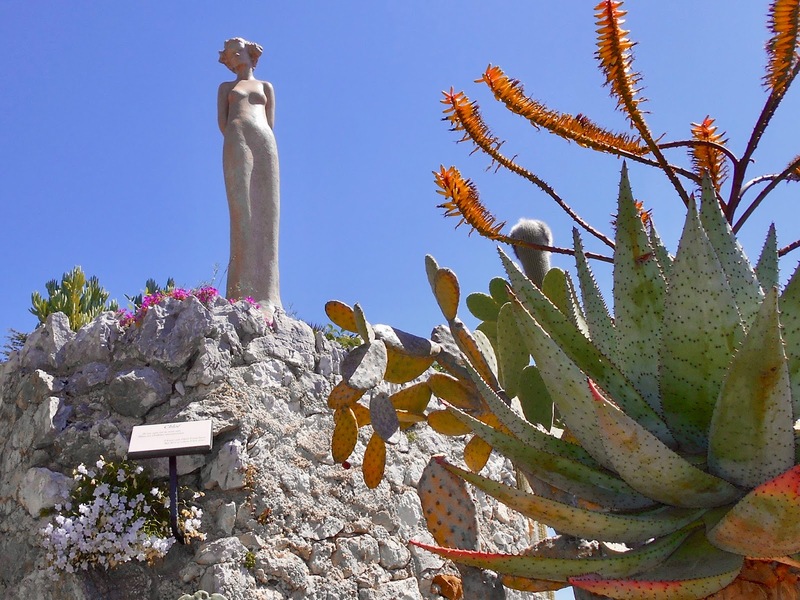 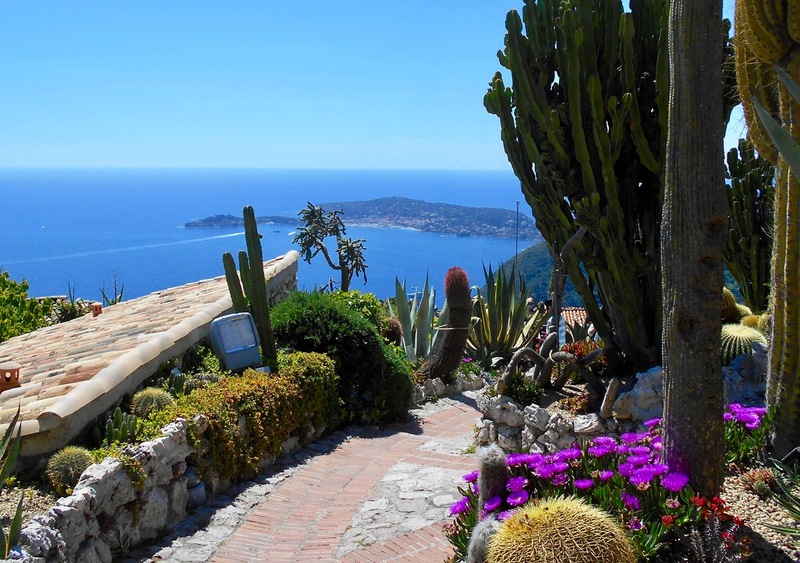 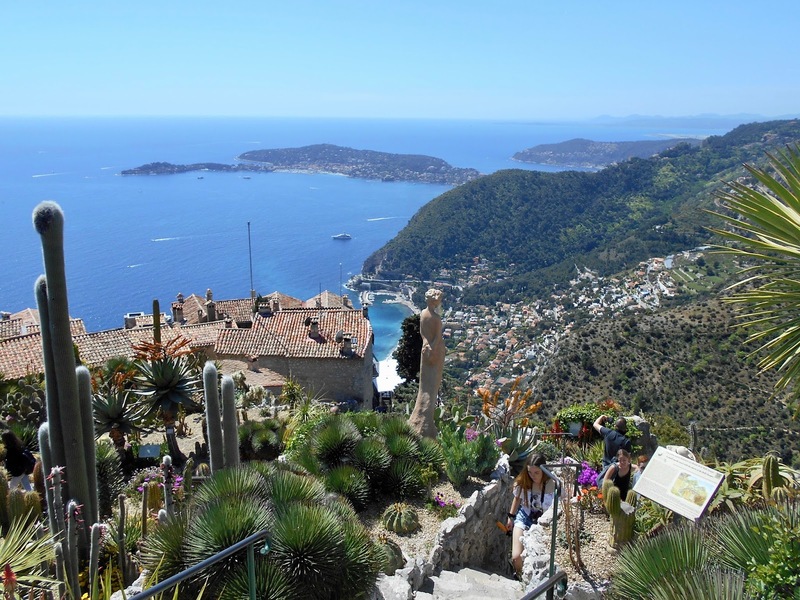 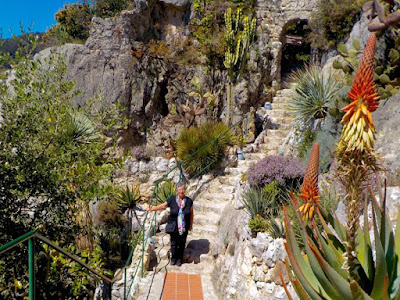 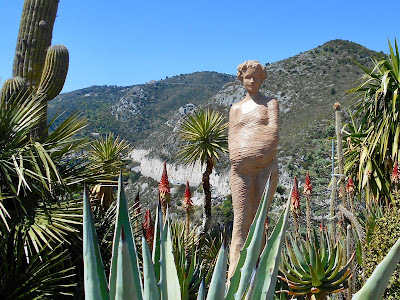 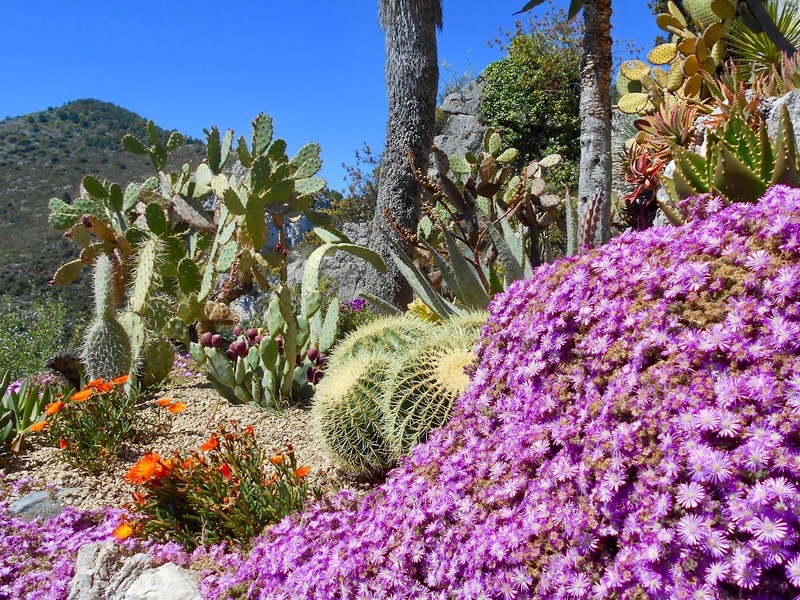 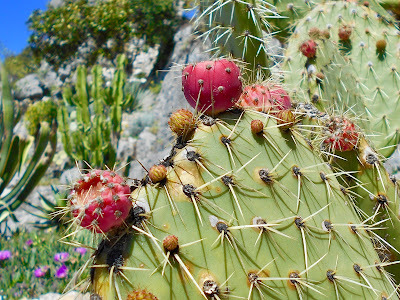 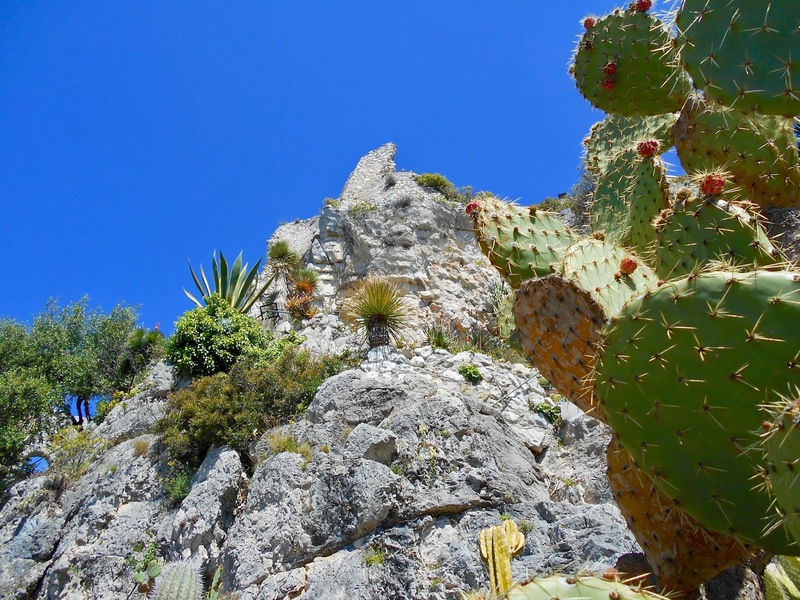 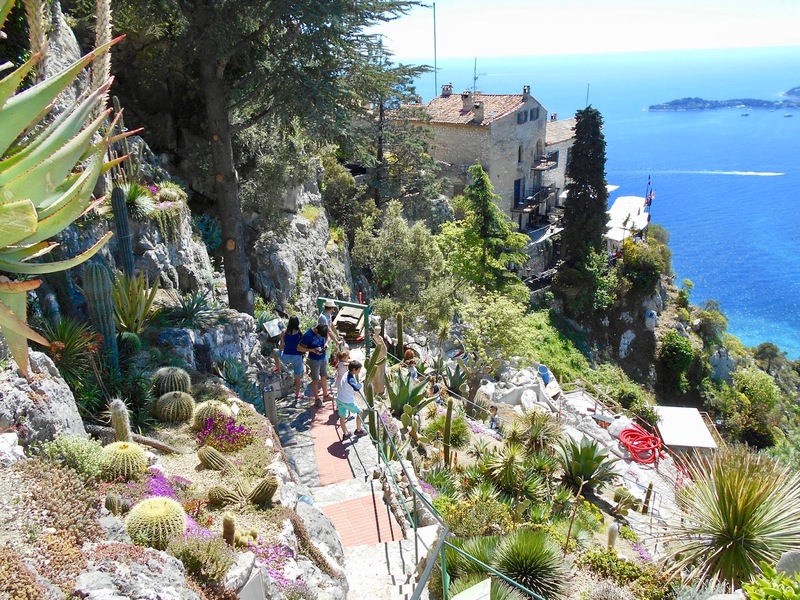 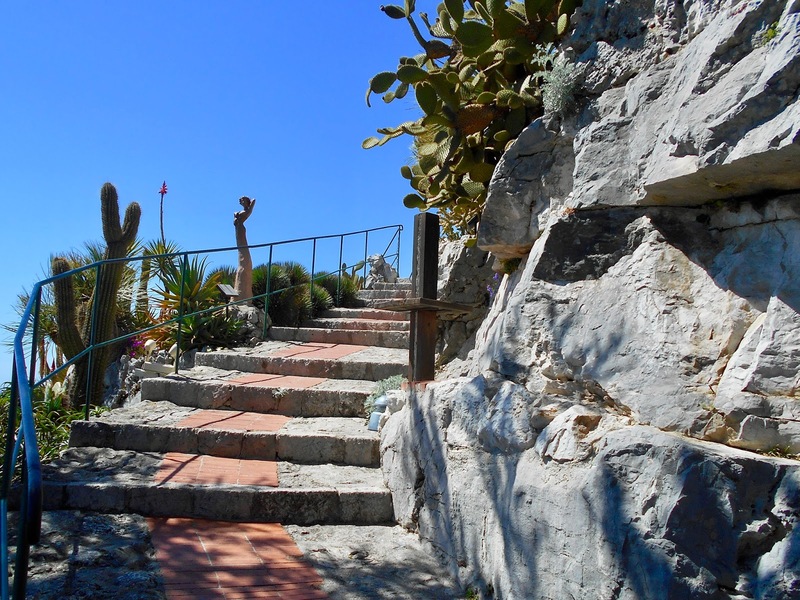 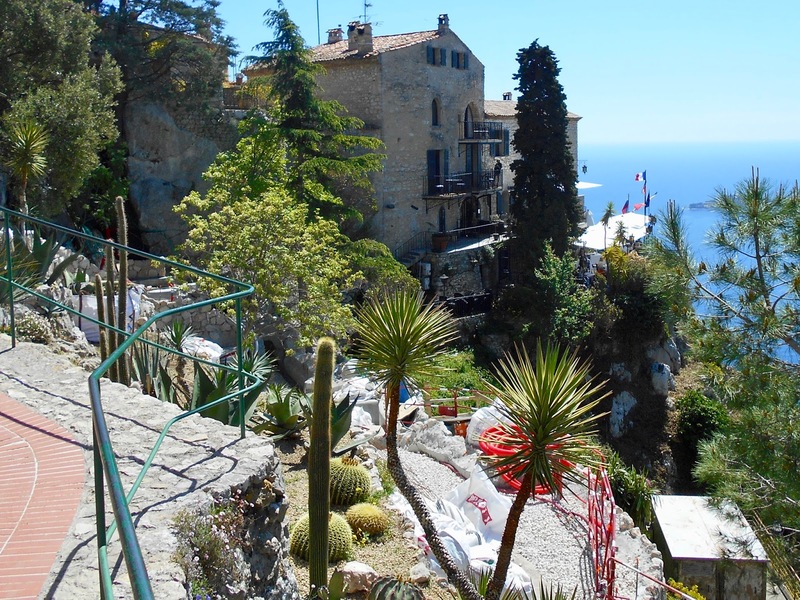 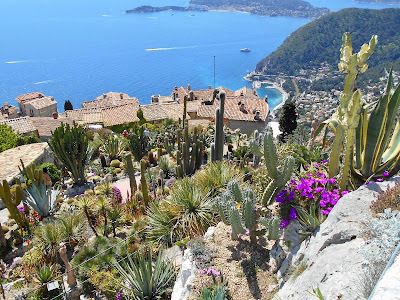 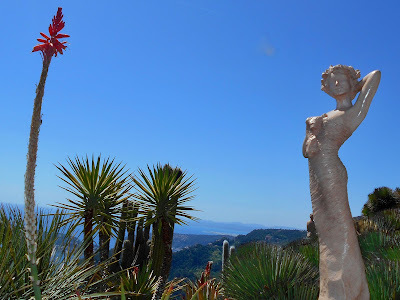 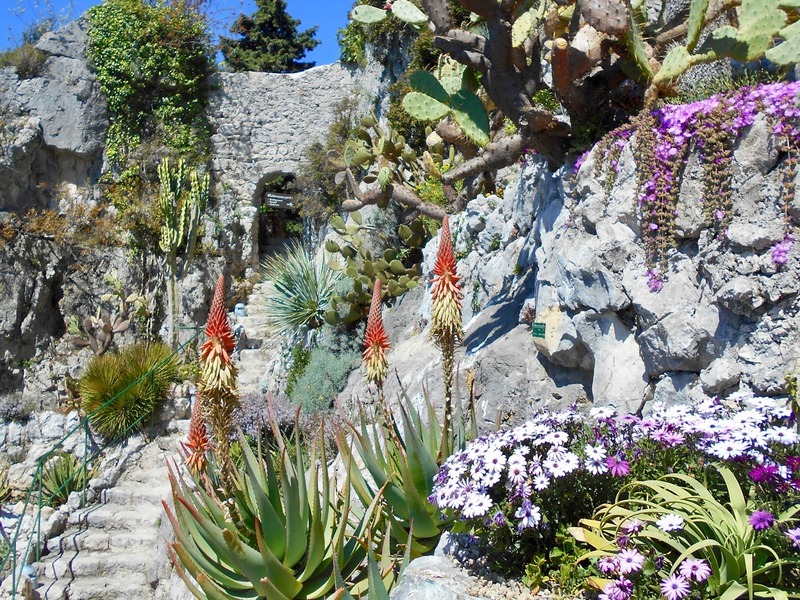 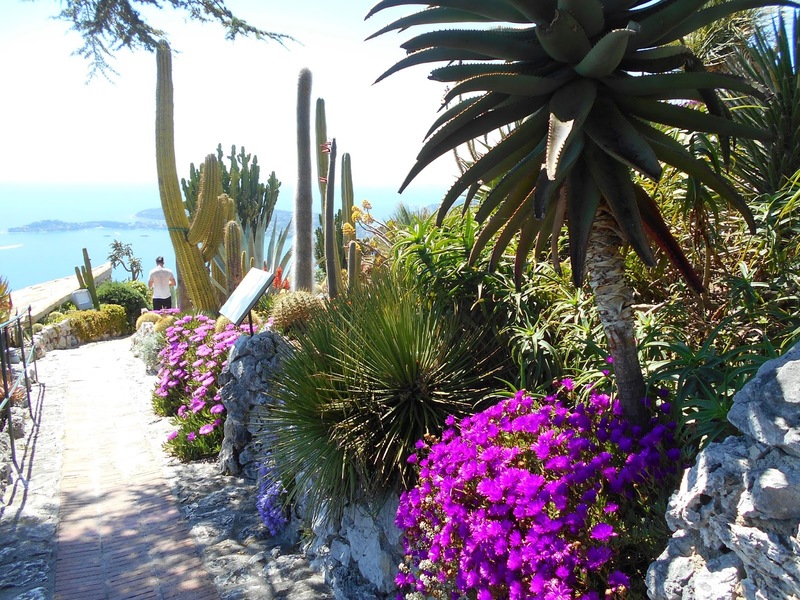 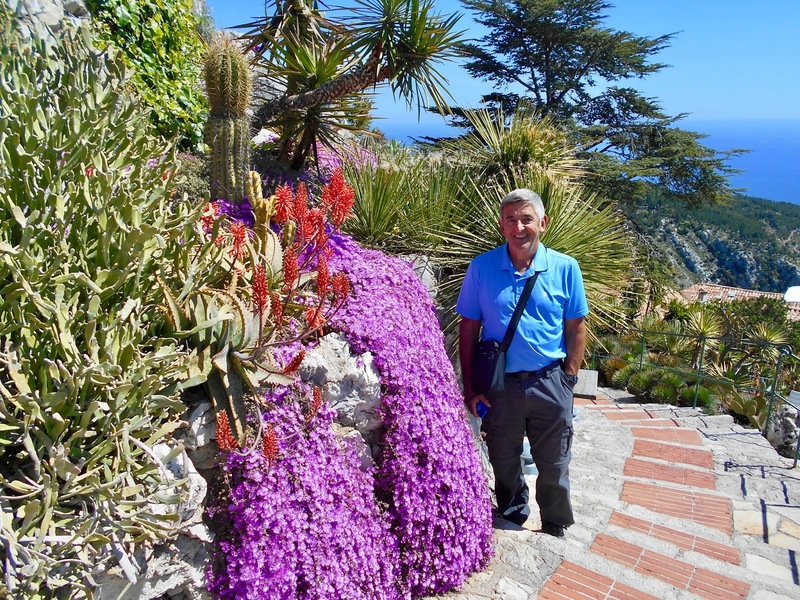 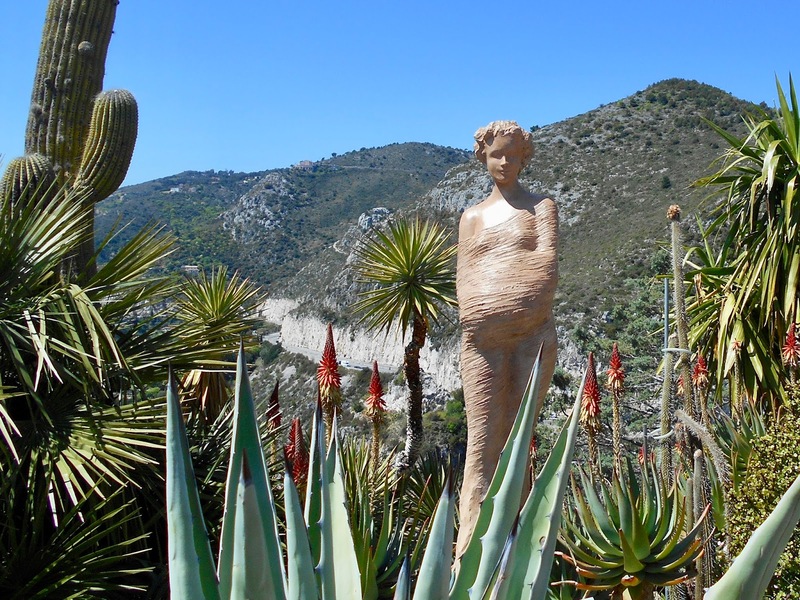 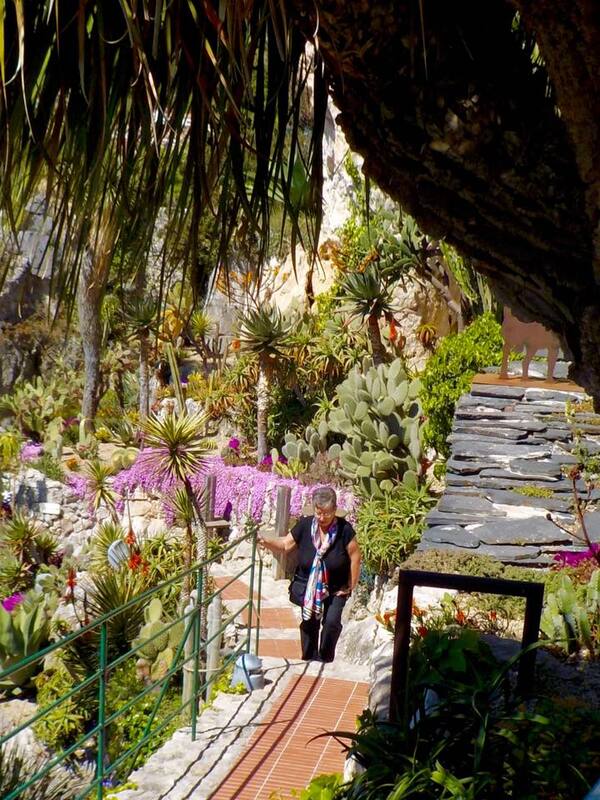 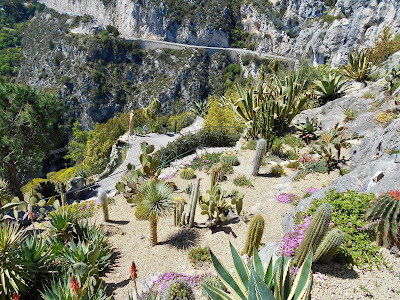 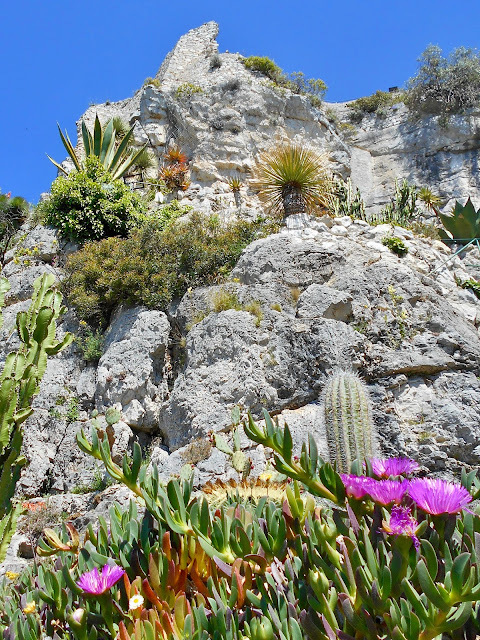 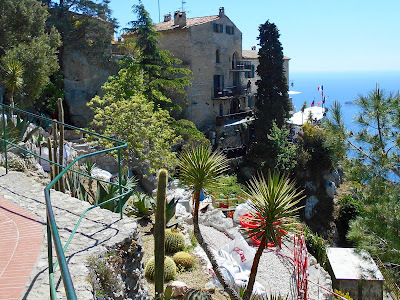 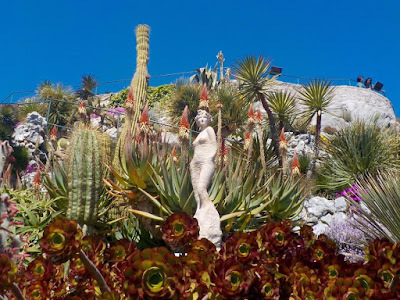 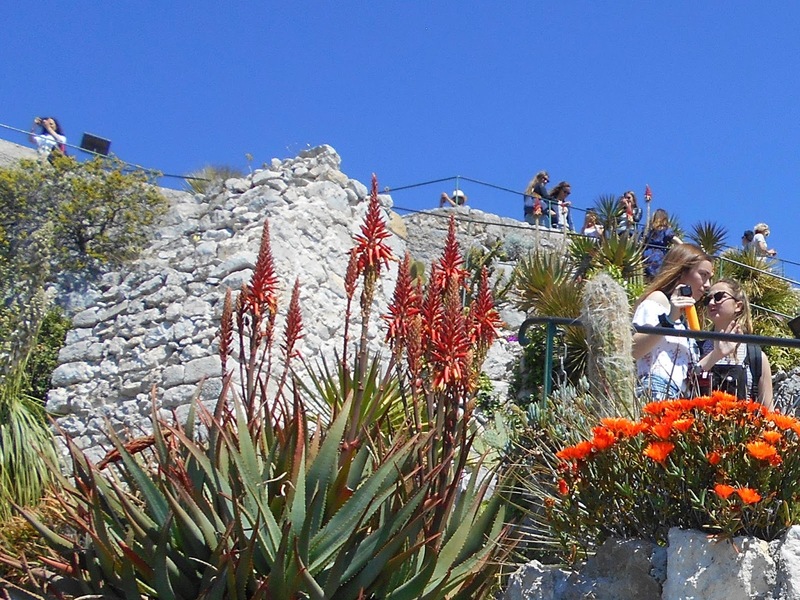 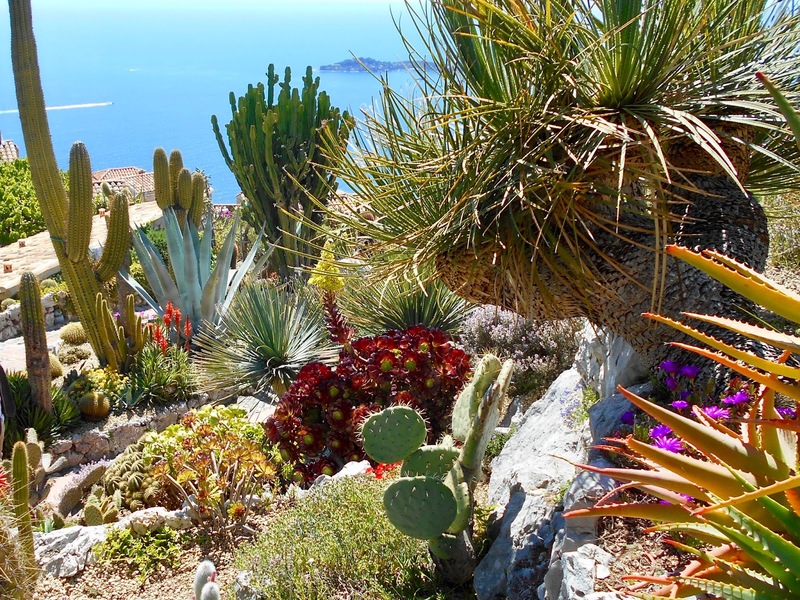 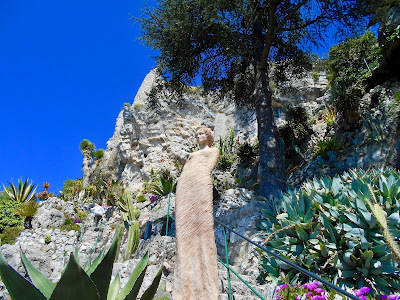 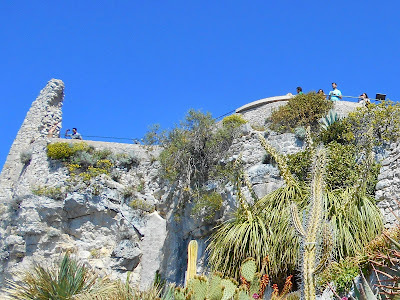 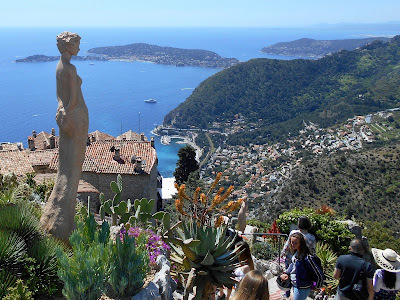 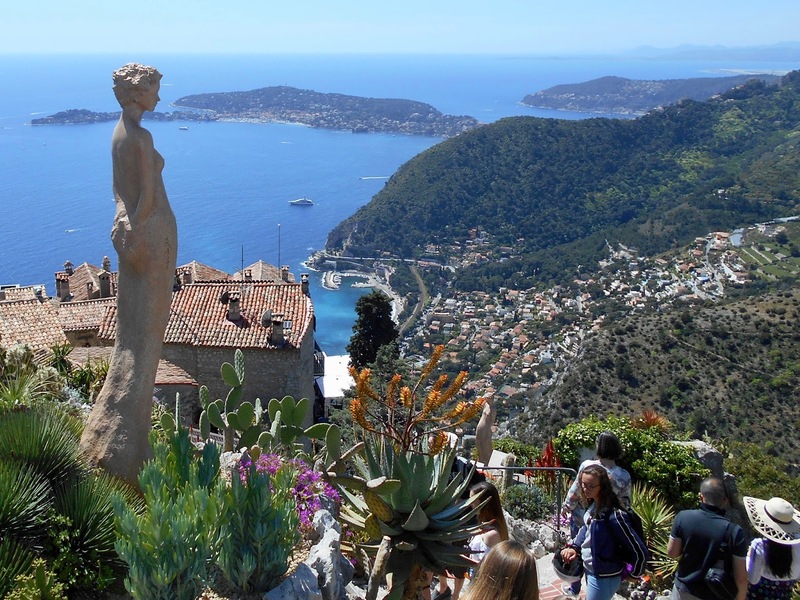 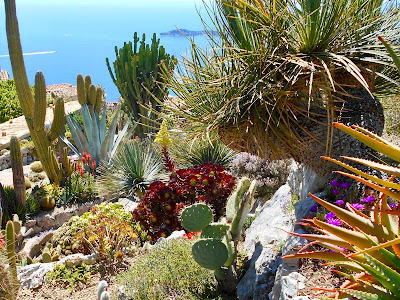 Our day spent exploring Eze and its Exotic Garden is one of our all-time favourite adventures and if the travel gods are willing we'll return one day.